Accounts. In order to access some of the features of this Site or use some of the Services found at this Site, you will have to create an account (an “Account”). You represent and warrant to Marshall Tech Services that all information you submit when you create your Account is accurate, current and complete, and that you will keep your Account information accurate, current and complete. If Marshall Tech Services has reason to believe that your Account information is untrue, inaccurate, out-of-date or incomplete, Marshall Tech Services reserves the right, in its sole and absolute discretion, to suspend or terminate your Account. You are solely responsible for the activity that occurs on your Account, whether authorized by you or not, and you must keep your Account information secure, including without limitation your customer number/login, password, payment method(s), and shopper PIN. For security purposes, Marshall Tech Services recommends that you change your password and shopper PIN at least once every six (6) months for each Account you have with Marshall Tech Services. You must notify Marshall Tech Services immediately of any breach of security or unauthorized use of your Account. Marshall Tech Services will not be liable for any loss you incur due to any unauthorized use of your Account. You, however, may be liable for any loss Marshall Tech Services or others incur caused by your Account, whether caused by you, or by an authorized person, or by an unauthorized person. Contains false or deceptive language, or unsubstantiated or comparative claims, regarding Marshall Tech Services or Marshall Tech Services’s Services. You will not copy or distribute in any medium any part of this Site or the Services found at this Site, except where expressly authorized by Marshall Tech Services. You will not access Marshall Tech Services Content (as defined below) or User Content through any technology or means other than through this Site itself, or as Marshall Tech Services may designate. You agree to back-up all of your User Content so that you can access and use it when needed. Marshall Tech Services does not warrant that it backs-up any Account or User Content, and you agree to accept as a risk the loss of any and all of your User Content. You will not use this Site or the Services found at this Site, including any of Marshall Tech Services’s related technologies, for any commercial use without Marshall Tech Services’s express prior written consent. Marshall Tech Services reserves the right to modify, change, or discontinue any aspect of this Site or the Services found at this Site, including without limitation prices and fees for the same, at any time. In addition to the general rules above, the provisions in this Section 5 apply specifically to your use of Marshall Tech Services Content and User Content posted to Marshall Tech Services’s corporate websites (i.e., those sites which Marshall Tech Services directly controls or maintains). The applicable provisions are not intended to and do not have the effect of transferring any ownership or licensed rights (including intellectual property rights) you may have in content posted to your hosted websites. User Content. Some of the features of this Site or the Services found at this Site may allow Users to view, post, publish, share, store, or manage (a) ideas, opinions, recommendations, or advice (“User Submissions”), or (b) literary, artistic, musical, or other content, including but not limited to photos and videos (together with User Submissions, “User Content”). By posting or publishing User Content to this Site or to the Services found at this Site, you represent and warrant to Marshall Tech Services that (i) you have all necessary rights to distribute User Content via this Site or via the Services found at this Site, either because you are the author of the User Content and have the right to distribute the same, or because you have the appropriate distribution rights, licenses, consents, and/or permissions to use, in writing, from the copyright or other owner of the User Content, and (ii) you do not violate the rights of any third party. Security. You agree not to circumvent, disable or otherwise interfere with the security-related features of this Site or the Services found at this Site (including without limitation those features that prevent or restrict use or copying of any Marshall Tech Services Content or User Content) or enforce limitations on the use of this Site or the Services found at this Site, the Marshall Tech Services Content or the User Content therein. The provisions in this Section 6 apply specifically to Marshall Tech Services’s use of User Content posted to Marshall Tech Services’s corporate websites (i.e., those sites which Marshall Tech Services directly controls or maintains). The applicable provisions are not intended to and do not have the effect of transferring any ownership or licensed rights (including intellectual property rights) you may have in content posted to your hosted websites. Your User Submissions do not establish a confidential relationship or obligate Marshall Tech Services to treat your User Submissions as confidential or secret. Marshall Tech Services has no obligation, either express or implied, to develop or use your User Submissions, and no compensation is due to you or to anyone else for any intentional or unintentional use of your User Submissions. Marshall Tech Services may be working on the same or similar content, it may already know of such content from other sources, it may simply wish to develop this (or similar) content on its own, or it may have taken / will take some other action. Marshall Tech Services shall own exclusive rights (including all intellectual property and other proprietary rights) to any User Submissions posted to this Site, and shall be entitled to the unrestricted use and dissemination of any User Submissions posted to this Site for any purpose, commercial or otherwise, without acknowledgment or compensation to you or to anyone else. If you have a website hosted by Marshall Tech Services or another service provider, you shall retain all of your ownership or licensed rights in User Content posted to your website. Marshall Tech Services expressly reserves the right to deny, cancel, terminate, suspend, lock, or modify access to (or control of) any Account or Services (including the right to cancel or transfer any domain name registration) for any reason (as determined by Marshall Tech Services in its sole and absolute discretion), including but not limited to the following: (i) to correct mistakes made by Marshall Tech Services in offering or delivering any Services (including any domain name registration), (ii) to protect the integrity and stability of, and correct mistakes made by, any domain name registry, (iii) to assist with our fraud and abuse detection and prevention efforts, (iv) to comply with applicable local, state, national and international laws, rules and regulations, (v) to comply with requests of law enforcement, including subpoena requests, (vi) to comply with any dispute resolution process, (vii) to defend any legal action or threatened legal action without consideration for whether such legal action or threatened legal action is eventually determined to be with or without merit, or (viii) to avoid any civil or criminal liability on the part of Marshall Tech Services, its officers, directors, employees and agents, as well as Marshall Tech Services’s affiliates. Marshall Tech Services expressly reserves the right to review every Account for excessive space and bandwidth utilization, and to terminate or apply additional fees to those Accounts that exceed allowed levels. You acknowledge you have read, understand and agree to be bound by Marshall Tech Services’s Anti-Spam Policy referenced above and available here. You agree Marshall Tech Services may immediately terminate any Account which it believes, in its sole and absolute discretion, is transmitting or is otherwise connected with any spam or other unsolicited bulk email. In addition, if actual damages cannot be reasonably calculated then you agree to pay Marshall Tech Services liquidated damages in the amount of $1.00 for each piece of spam or unsolicited bulk email transmitted from or otherwise connected with your Account. Marshall Tech Services supports the protection of intellectual property. If you would like to submit (i) a trademark claim for violation of a mark on which you hold a valid, registered trademark or service mark, or (ii) a copyright claim for material on which you hold a bona fide copyright, please refer to Marshall Tech Services’s Trademark and/or Copyright Infringement Policy referenced above and available here. This Site and the Services found at this Site may contain links to third-party websites that are not owned or controlled by Marshall Tech Services.  Marshall Tech Services assumes no responsibility for the content, terms and conditions, privacy policies, or practices of any third-party websites. In addition, Marshall Tech Services does not censor or edit the content of any third-party websites. By using this Site or the Services found at this Site, you expressly release Marshall Tech Services from any and all liability arising from your use of any third-party website. Accordingly, Marshall Tech Services encourages you to be aware when you leave this Site or the Services found at this Site and to review the terms and conditions, privacy policies, and other governing documents of each other website that you may visit. YOU SPECIFICALLY ACKNOWLEDGE AND AGREE THAT YOUR USE OF THIS SITE AND THE SERVICES FOUND AT THIS SITE SHALL BE AT YOUR OWN RISK AND THAT THIS SITE AND THE SERVICES FOUND AT THIS SITE ARE PROVIDED “AS IS”, “AS AVAILABLE” AND “WITH ALL FAULTS”. Marshall Tech Services, ITS OFFICERS, DIRECTORS, EMPLOYEES, AND AGENTS DISCLAIM ALL WARRANTIES, STATUTORY, EXPRESS OR IMPLIED, INCLUDING, BUT NOT LIMITED TO, ANY IMPLIED WARRANTIES OF TITLE, MERCHANTABILITY, FITNESS FOR A PARTICULAR PURPOSE AND NON-INFRINGEMENT. Marshall Tech Services, ITS OFFICERS, DIRECTORS, EMPLOYEES, AND AGENTS MAKE NO REPRESENTATIONS OR WARRANTIES ABOUT (I) THE ACCURACY, COMPLETENESS, OR CONTENT OF THIS SITE, (II) THE ACCURACY, COMPLETENESS, OR CONTENT OF ANY SITES LINKED (THROUGH HYPERLINKS, BANNER ADVERTISING OR OTHERWISE) TO THIS SITE, AND/OR (III) THE SERVICES FOUND AT THIS SITE OR ANY SITES LINKED (THROUGH HYPERLINKS, BANNER ADVERTISING OR OTHERWISE) TO THIS SITE, AND Marshall Tech Services ASSUMES NO LIABILITY OR RESPONSIBILITY FOR THE SAME. IN ADDITION, YOU SPECIFICALLY ACKNOWLEDGE AND AGREE THAT NO ORAL OR WRITTEN INFORMATION OR ADVICE PROVIDED BY Marshall Tech Services, ITS OFFICERS, DIRECTORS, EMPLOYEES, OR AGENTS (INCLUDING WITHOUT LIMITATION ITS CALL CENTER OR CUSTOMER SERVICE REPRESENTATIVES) WILL (I) CONSTITUTE LEGAL OR FINANCIAL ADVICE OR (II) CREATE A WARRANTY OF ANY KIND WITH RESPECT TO THIS SITE OR THE SERVICES FOUND AT THIS SITE, AND USERS SHOULD NOT RELY ON ANY SUCH INFORMATION OR ADVICE. IN NO EVENT SHALL Marshall Tech Services, ITS OFFICERS, DIRECTORS, EMPLOYEES, OR AGENTS BE LIABLE TO YOU OR ANY OTHER PERSON OR ENTITY FOR ANY DIRECT, INDIRECT, INCIDENTAL, SPECIAL, PUNITIVE, OR CONSEQUENTIAL DAMAGES WHATSOEVER, INCLUDING ANY THAT MAY RESULT FROM (I) THE ACCURACY, COMPLETENESS, OR CONTENT OF THIS SITE, (II) THE ACCURACY, COMPLETENESS, OR CONTENT OF ANY SITES LINKED (THROUGH HYPERLINKS, BANNER ADVERTISING OR OTHERWISE) TO THIS SITE, (III) THE SERVICES FOUND AT THIS SITE OR ANY SITES LINKED (THROUGH HYPERLINKS, BANNER ADVERTISING OR OTHERWISE) TO THIS SITE, (IV) PERSONAL INJURY OR PROPERTY DAMAGE OF ANY NATURE WHATSOEVER, (V) THIRD-PARTY CONDUCT OF ANY NATURE WHATSOEVER, (VI) ANY UNAUTHORIZED ACCESS TO OR USE OF OUR SERVERS AND/OR ANY AND ALL CONTENT, PERSONAL INFORMATION, FINANCIAL INFORMATION OR OTHER INFORMATION AND DATA STORED THEREIN, (VII) ANY INTERRUPTION OR CESSATION OF SERVICES TO OR FROM THIS SITE OR ANY SITES LINKED (THROUGH HYPERLINKS, BANNER ADVERTISING OR OTHERWISE) TO THIS SITE, (VIII) ANY VIRUSES, WORMS, BUGS, TROJAN HORSES, OR THE LIKE, WHICH MAY BE TRANSMITTED TO OR FROM THIS SITE OR ANY SITES LINKED (THROUGH HYPERLINKS, BANNER ADVERTISING OR OTHERWISE) TO THIS SITE, (IX) ANY USER CONTENT OR CONTENT THAT IS DEFAMATORY, HARASSING, ABUSIVE, HARMFUL TO MINORS OR ANY PROTECTED CLASS, PORNOGRAPHIC, “X-RATED”, OBSCENE OR OTHERWISE OBJECTIONABLE, AND/OR (X) ANY LOSS OR DAMAGE OF ANY KIND INCURRED AS A RESULT OF YOUR USE OF THIS SITE OR THE SERVICES FOUND AT THIS SITE, WHETHER BASED ON WARRANTY, CONTRACT, TORT, OR ANY OTHER LEGAL OR EQUITABLE THEORY, AND WHETHER OR NOT Marshall Tech Services IS ADVISED OF THE POSSIBILITY OF SUCH DAMAGES. IN ADDITION, You SPECIFICALLY ACKNOWLEDGE AND agree that in no event shall Marshall Tech Services’s total aggregate liability exceed the total amount paid by you for the particular ServiceS that ARE the subject of the cause of action. Marshall Tech Services makes no representation or warranty that the content available on this Site or the Services found at this Site are appropriate in every country or jurisdiction, and access to this Site or the Services found at this Site from countries or jurisdictions where its content is illegal is prohibited. Users who choose to access this Site or the Services found at this Site are responsible for compliance with all local laws, rules and regulations.